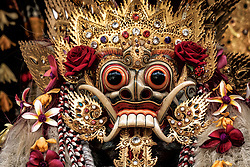 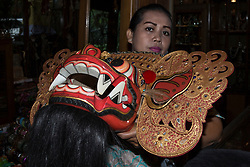 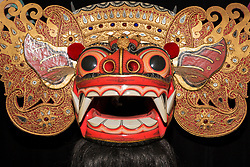 Temple quality Barong mask from Murni's Warung Shop, Ubud, Bali. 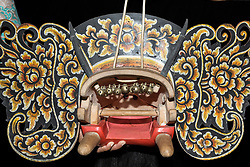 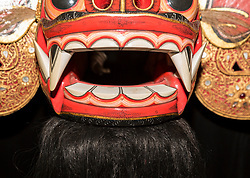 The Barong mask may have up to 150 coats of paint. 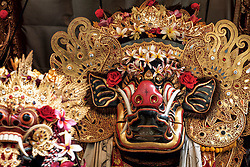 It is gilded in parts and highly polished. 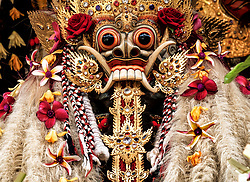 The eyes are large and bulbous, ringed in red, black, yellow and white, the colours of the gods Brahma, Wisnu, Mahadewa and Iswara. 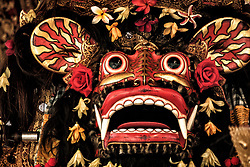 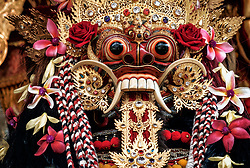 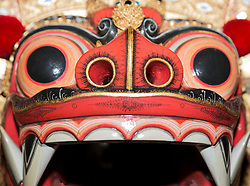 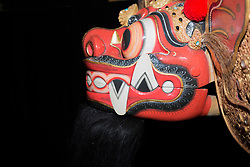 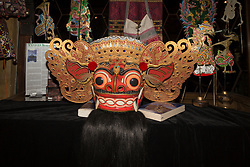 The Barong’s penetrating gaze portrays mixed expressions of fury and fun.